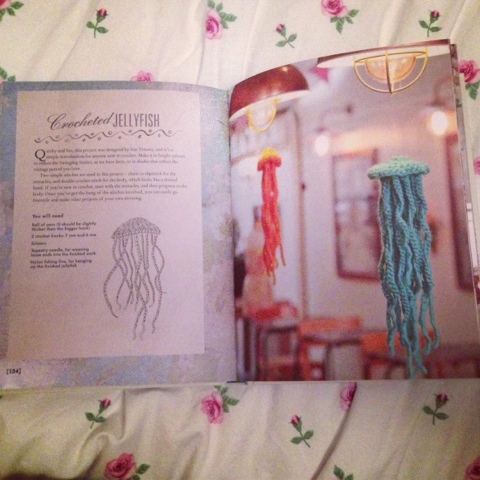 Whilst exploring my crochet self I came across the idea of crochet jellyfish from Kirstie Allsopps "Kirstie's Vintage Home" book. 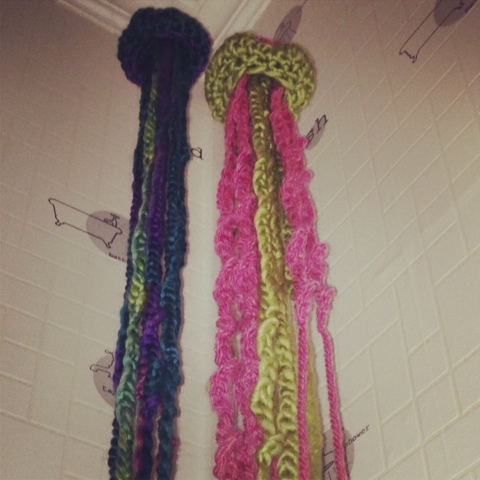 As I want to create a seaside inspired bathroom I thought these jellyfish would add something funky to the room. 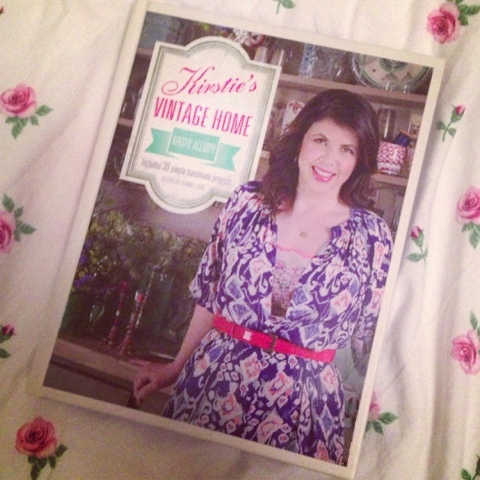 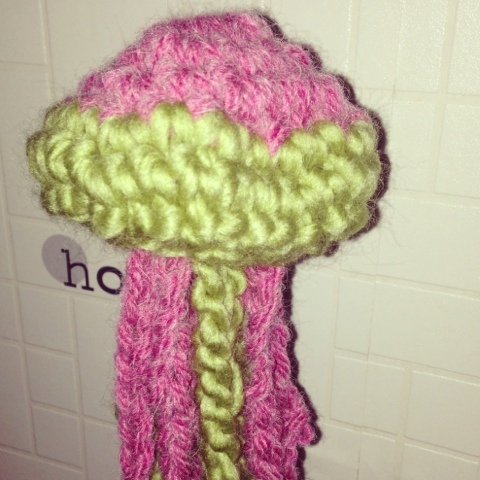 Not the best of photographs but you get the idea! 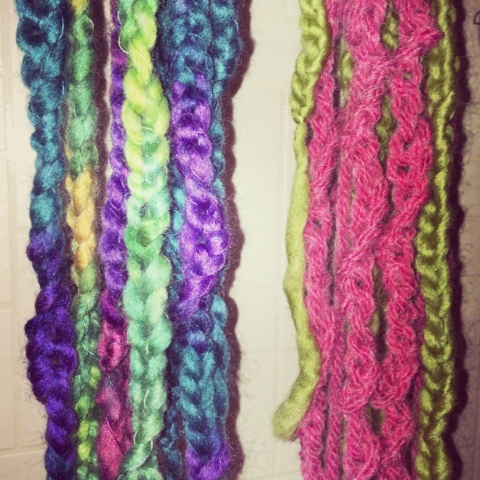 This project was really fun and easy for beginners. 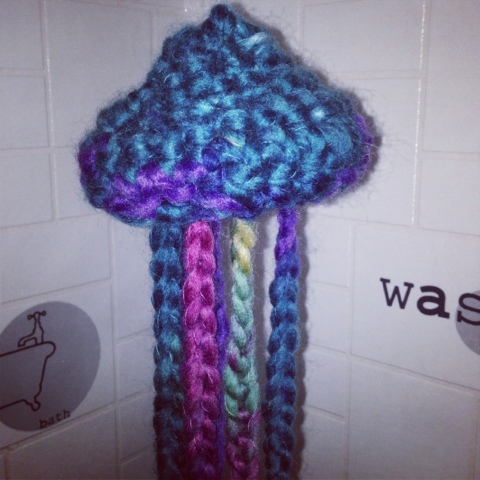 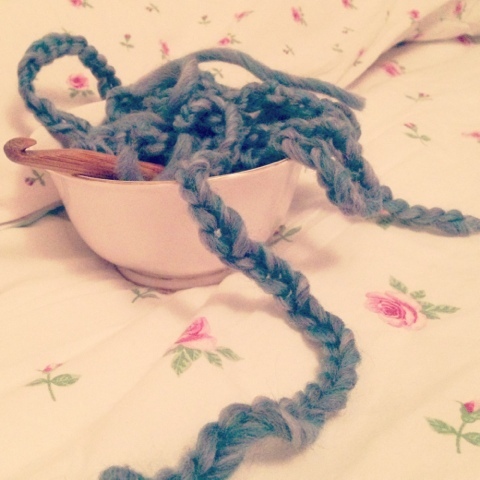 Why not give it a go and crochet your own Jellyfish friend!